Classic Bakers Rack. Great for your Mexican kitchen. Provides added storage and a sure element of style. Shelves made of solid pine. 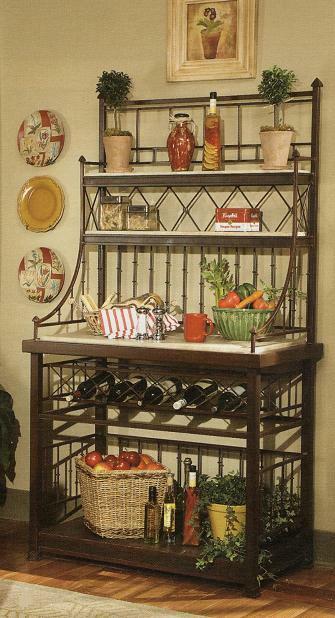 We know you will love this fabulous Wrought Iron Classic Baker's Rack with wood top. Great for your Mexican kitchen. Provides added storage and a sure element of style. Shelves made of solid pine.